The undergraduate program in Psychological Sciences is made up of a structured curriculum in which students develop a thorough understanding of concepts and principles that attempt to explain human behavior and mental processes. This program leads to a Bachelor of Arts (B.A. 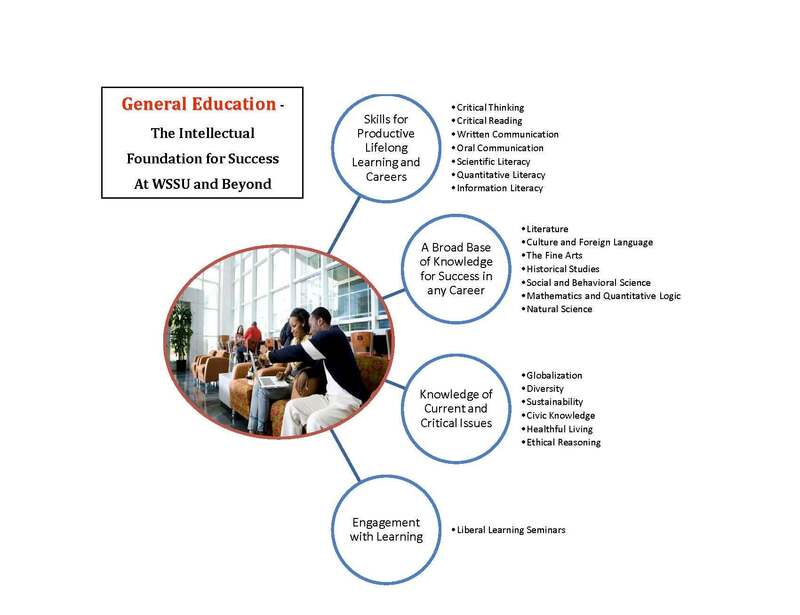 ), which prepares students to (1) ) begin work as a non-professional in a variety of settings where a liberal arts background plus interpersonal skills are needed and 2) obtain entrance into graduate programs in any field of Psychology. All students must fulfill the General Education requirements and regularly meet with their advisors. After completing General Education courses, student will begin to more rigorously pursue the major requirements for Psychology. The Department of Psychological Sciences provides a culture of learning within a liberal educational context. We challenge undergraduates to apply a scientific approach to understanding the dynamic processes of human behavior and thinking in a global context. This is achieved through a variety of courses that emphasize (a) the interplay between biological, cognitive and social-level factors, (b) active engagement in experiential learning, oral and written communication, research and field-related experiences, and (c) the important role of diversity and cultural understanding. We develop solution-oriented graduates who can transition into professional studies or the workforce. Information Literacy: Identity, locate, evaluate, and use information effectively and responsibility to increase understanding (PSY 2430 , PSY 2316 ). Written Communication: Use of appropriate language, conventions, organization, supporting evidence, and content to effectively communicate in writing, for the purpose and audience (PSY 2430 and upper level psychology courses). Critical Reading: Interacting with written language to construct and reflect on meaning while evaluating and questioning in relation to contextual information (ALL Foundation and Elective Psychology Courses). Scientific Literacy: Exhibit knowledge of scientific concepts and processes and ability to engage the scientific method towards informing decision making and participation in civic, social, cultural, and economic affairs (ALL Psychology courses). Quantitative Literacy: Understand and create arguments that are supported by empirical evidence and clearly communicate those arguments in a variety of formats such as using words, tables, graphs, and mathematical equations, as appropriate (PSY 2440 , PSY PSY 3402 ). Critical Thinking: Analyze, synthesize or deconstruct, interpret and evaluate information and concepts to solve problems (ALL Psychology Courses). Oral Communication: Use appropriate language, conventions, elocution, poise, organization, supporting evidence, and content to effectively communicate through the spoken word for the purpose and audience (PSY 4440 ). C. Seminar Courses (Depth) with Labs: 4 hrs. total (must take 1 seminar course with lab from the list below: Non-majors require permission of instructor to take these courses. D. Electives in PSY: 6 hrs total (take any 2 psychology courses not taken above). Policies Majors must complete all core courses in psychology with a grade of C or better. Students who want to transfer from another major into the Psychological Sciences major must have at least an overall 2.0 grade point average, and they must take all required core courses in the sequencing and pacing advised by the psychology adviser and/or Department Chair. Psychological Science majors and intended majors should have a broad interest in both theory and research as related to behavior and mental processes. Undergraduate programs in psychological sciences focus on the study of biological, cognitive, social, developmental, clinical/counseling theory and research. Completion solely of an undergraduate program in psychological sciences does not result in students having the credentials to serve as a psychologist, licensed counselor, or licensed clinician, or licensed therapist. A graduate education is required to work as a licensed clinical or counseling psychologist. No minor is required for psychological sciences majors. There are no concentration areas in the program. Students minoring in psychological sciences may take any 18 credits in the discipline, but cannot take courses listed as in the core (Area A above).